Malcolm Gladwell's book Outliers has a chapter called Harlan, Kentucky, that describes the culture of honour that is found in the American South and Kentucky. 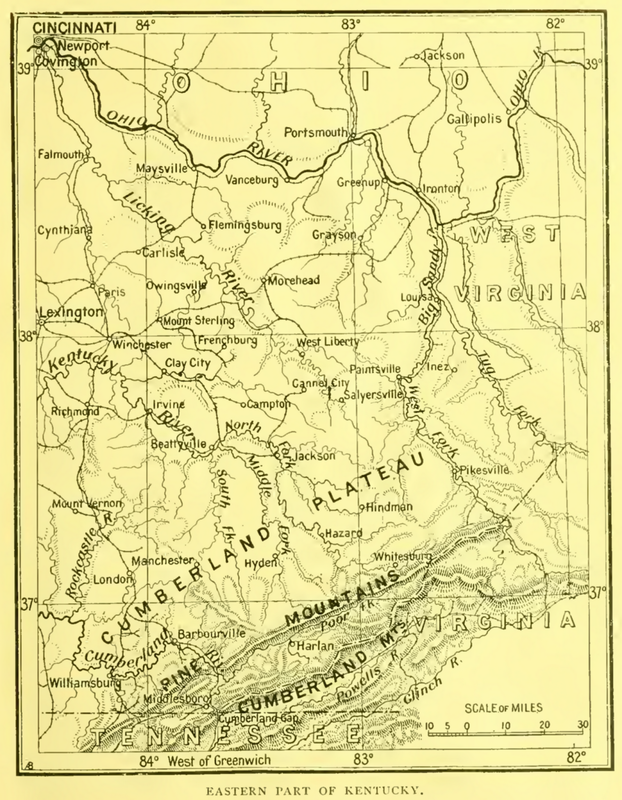 In 1901 the American geographer Ellen Churchill Semple wrote a pioneering study called The Anglo-Saxons of the Kentucky Mountains: A study in Anthropogeography. It is a report of Semple's fieldwork and describes the cultural impact of the specific geography of Kentucky. In one of the most progressive and productive countries of the world, and in that section of the country which has had its civilization and its wealth longest, we find a large area where the people are still living the frontier life of the backwoods, where civilization is that of the eighteenth century, where the people speak the English of Shakespeare's time, where the majority of the inhabitants have never seen a steamboat or railroad, where money is as scarce as in colonial days, and all trade is barter. It is the great upheaved mass of the Southern Appalachians which, with the conserving power of the mountains, has caused these conditions to survive, carrying a bit of the eighteenth century intact over into this strongly contrasted twentieth century, and presenting an anachronism all the more marked because found in the heart of the bustling, money-making, novelty-loving United States. These conditions are to be found throughout the broad belt of the Southern Appalachians, but nowhere in such purity or covering so large an area as in the mountain region of Kentucky. Originally published in the Geographical Journal (London) June, 1901. Kentucky still has pockets of poverty. The per capita income of Harlan County is $18,665 and Kentucky as a state has 16 of the poorest counties in the US. One third of households in Harlan County have no indoor plumbing. For more on Semple see HERE.